Mel did you have a sister called Verity? We had a white and yellow caravan but we left when they pulled the wash house down as we didn't have running water. My mum thinks thay was 1985 ish. 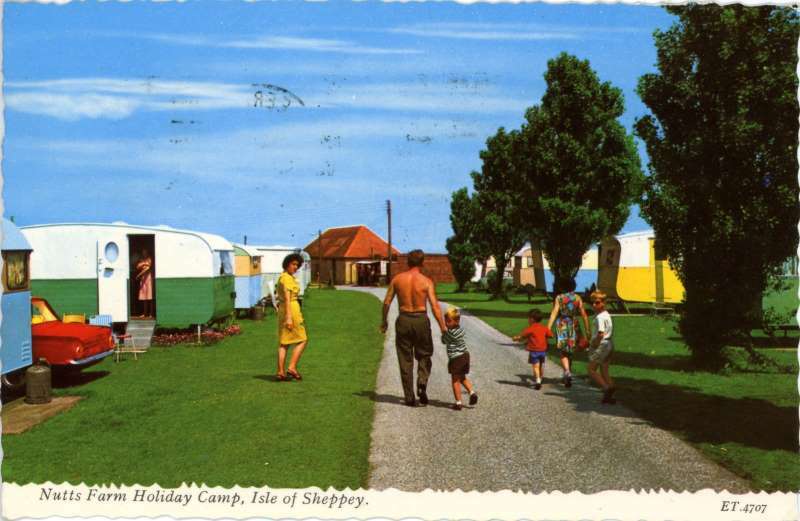 See the building at the end of the road in this postcard that was my mum and dads shop, we had loads of fun on nutts farm camp when we was small playing football with Jamie Rednapp and Harry Rednapp .